The Delta State Job Creation Programme, Skills Training and Entrepreneurship Programme (STEP) has received another boost with an additional twenty-nine (29) trainees comprising Persons with Disabilities (PwDs). This was made known at a one day orientation course organised for them by the Office of the Chief Job Creation Officer in collaboration with the Ministry of Women Affairs, Social and Community Development on Monday, April 9, 2018 in Asaba. The Women Affairs Commissioner affirmed that the orientation programme was to enlighten the trainees towards the smooth implementation of the programme so as to achieve the desired results. She pointed out that 51 PwDs benefitted in the 2016/2017 cycle, while an additional 29 are to be trained in the 2017/2018 cycle which is the second set, adding that the beneficiaries were evenly selected from every local government area across the state on cluster to cluster bases. Rev. 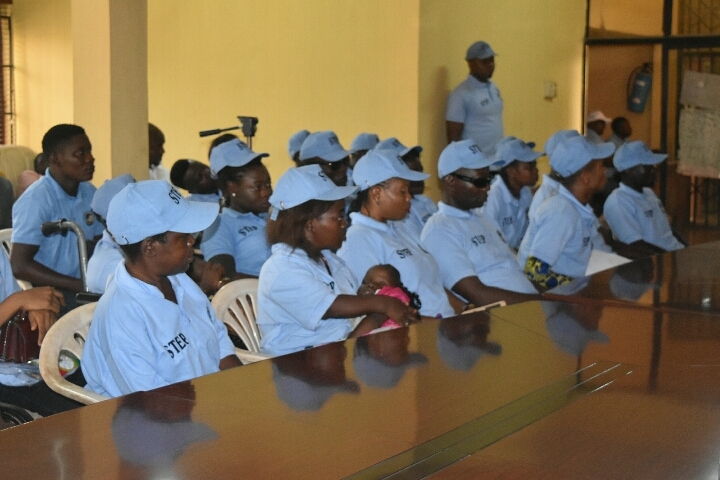 Williams explained that the beneficiaries would be trained for 3 to 6 months depending on their chosen enterprise using the Community Base Vocational Rehabilitation (CBVR) Model Approach in which each trainee is attached to a relevant trainer within their respective communities of residence and provided with an interpreter when necessary to facilitate learning within the stipulated period. She enjoined them to take the orientation course seriously and warned that any trainee who is either uncontrollable or reported to be absent from his training centre will be delisted from the programme. -Collaboration with relevant NGOs, multinational companies and other government agencies on issues relating to the welfare of PwDs in the State. On his part, the Chief Job Creation Officer, Prof Eric Eboh, reiterated the state government’s commitment to the welfare of PwDs, adding that their inclusion in the job creation programme is to equip them with the necessary knowledge and skills required to make them self-reliant and business managers. Prof Eboh reaffirmed that they would be given starter packs after their training period to establish their own enterprises and would be paid a monthly stipend of #10,000.00 within the 3 to 6 months training duration. While informing them that the Directorate of Youth Monitoring and Mentoring (DYMM) will regularly visit them to monitor their progress throughout the programme, he charged them to uphold discipline and hard work at all times.